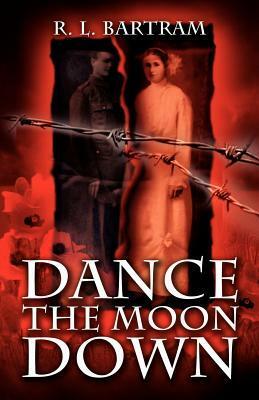 Today I’m welcoming R. L. Bartram, author of Dance The Moon Down. Thank you for stopping by, R. L.! All about Robert . . .
Born in Edmonton, London in 1951, Robert spent several of his formative years living in Cornwall, where he began to develop a life long love of nature and the rural way of life. He began writing in his early teens and much of his short romantic fiction was subsequently published in various national periodicals, including “Secrets”, “Red Letter” and “The People’s Friend”. Never one to let the necessity of making a living get in the way of his writing, Robert has continued to write for most of his life whilst holding down a succession of jobs which have included Typewriter Mechanic, Health Food Shop Manager and Taxidermist – yes, you read that correctly!! His passion for the history of the early twentieth century is second only to his love of writing and it was whilst researching for another project that he came across the letters and diaries of some women who had lived through the trauma of the Great War. What he read in them inspired him to write his debut novel Dance The Moon Down and the rest, as they say, is history. I was researching for another project when I came across the letters and diaries of some women who had lived through the trauma of the Great War. What I read in them was so utterly poignant, that I felt theirs was a story that demanded to be told. So much has already been written about the First World War, but mostly from the viewpoint of the men, and even the animals, on the front line. Further research indicated that very little had been written about the women who were left behind. I hope my novel will go towards redressing the balance. By the way, the title comes from an article I read in “The Nation” , a now obsolete periodical, written in June 1914 by John Galsworthy, the author of the Forsyte saga. Basically, it was a critique of the younger generation of whom he wrote “they had been born to dance the moon down to ragtime”. With the benefit of hindsight we now know that they, in fact, fought the bloodiest conflict of the twentieth century. The irony of his remark had such a profound effect on me that I took it for the title of my novel. I start by making notes of the initial idea, just to sort out what works and what doesn’t. Then I begin to develop the parts that interest me most until I have large chunks of disembodied plot. Then it’s a process of marrying them together until I have a first draft. After that, it’s a case of rewrite after rewrite until I’m satisfied. It took six drafts to finish Dance The Moon Down. I write everything in longhand first. I can write as fast as I think. Trying to tap it out on a keyboard would only slow me down. It’s also easier to correct the manuscript and add notations. Nothing goes onto the computer until I have the final handwritten draft. I prefer to write at night. It’s quieter then and I can hear my thoughts. I usually begin at 11pm and go on to 3am, sometimes longer. That’s seven days a week of course. Firstly, write for the love of it. If you have any notions of making a quick fortune, try some other occupation. Above all believe in yourself and maintain a sense of humor, you’ll need it. Writing is an increasingly tough industry to get noticed in, but there’s always a place for a good story. I’m currently researching for my new novel which is set against the back ground of the American Civil War. This one also has a female central character, (my favorite) and as with Dance The Moon Down I think I’ve found a new slant on an old theme, but that’s all I can say for now. In 1910 no one believed there would ever be a war with Germany. Safe in her affluent middle-class life, the rumors held no significance for Victoria either. It was her father’s decision to enroll her at university that began to change all that. There she befriends the rebellious and outspoken Beryl Whittaker, an emergent suffragette, but it is her love for Gerald Avery, a talented young poet from a neighboring university that sets the seal on her future. After a clandestine romance they marry in January 1914, but with the outbreak of the First World War, Gerald volunteers and within months has gone missing in France. Convinced that he is still alive, Victoria’s initial attempts to discover what has become of him implicate her in a murderous assault on Lord Kitchener, resulting in her being interrogated as a spy, and later tempted to adultery. Now virtually destitute, Victoria is reduced to finding work as a common laborer on a rundown farm, where she discovers a world of unimaginable ignorance and poverty. It is only her conviction that Gerald will one day return that sustains her through the dark days of hardship and privation as her life becomes a battle of faith against adversity.